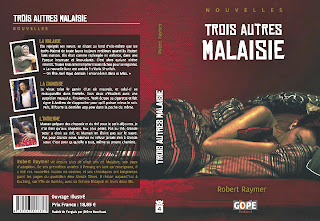 The plan was to meet Jerome Bouchaud, translator of Lovers and Strangers Revisited into Trois autres Malaisie and author of Malaisie - Modernité et Traditions en Asie du Sud-Est, at The Junk at 7pm. According to Lonely Planet “A long-time favourite with visitors and Malaysian celebrities—whose pictures line the staircase—Junk offers superb sophisticated Western food with Italian bias amid a collection of endearingly eccentric, well, junk.” They should add, “cool” junk, including some collectors items and antiques that will keep you mesmerized as you wonder about the premises, both upstairs and down, along with generous portions of great food. I thought Jerome would like the place, just in case we ran out of things to talk about, not that I should have been worried. After arriving early to beat the traffic, I was dismayed to find The Junk closed on Tuesdays. At a loss, I texted Jerome and suggested Khatulistiwa Café on the waterfront, a relaxing, open-aired venue, a great place for watching people as they stroll along the waterfront, also a safe first-meeting place that’s easy to find. Jerome, who I just blogged about two days ago Gearing Up for the French and was in Kuching to update a French travel guidebook (not his own, but another that he contributes to), had one advantage over me, he knew what I looked like from my book, website and blog, while I had no clue, other than hearing for the first time that morning a cheerful sounding voice. He turned out to be tall and handsome—no doubt excellent qualities for translating—with a cheerful disposition, alert eyes, and a quick sense of humor. I liked him right away. From the moment we shook hands to nearly four hours later, we spoke in a rapid fire conversation, pausing to eat our respective though different beef noodle soups, as we exchanged writing and marketing ideas, our writing experiences, and how we both came to be writing in Malaysia. 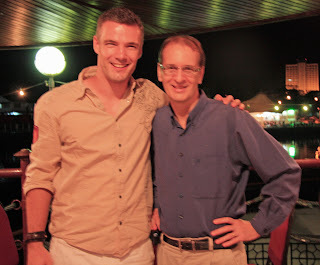 He also told me how he stumbled upon my website/blog, while actively looking for expat writers in Malaysia (which he also did while living four years in China). He then recommended Lovers and Strangers Revisited to Editions GOPE, who had contacted him via a mutual friend, looking for an expat writer in Malaysia for their new Asian series of books, that I blogged about in February, after the deal was confirmed and contracts signed. By the time we departed, both of our heads were spinning with ideas, after tossing back and forth viable and rather helpful suggestions, seeing the potential. This is what every writer needs, especially those expats in far-flung locations like Borneo (me) and Langkawi (him), a kindred spirit with similar writing goals who is putting himself out there, walking the talk and producing books. Yeah, we’re far from famous, but we both know that if we keep at it and keep producing good books, success will be there. 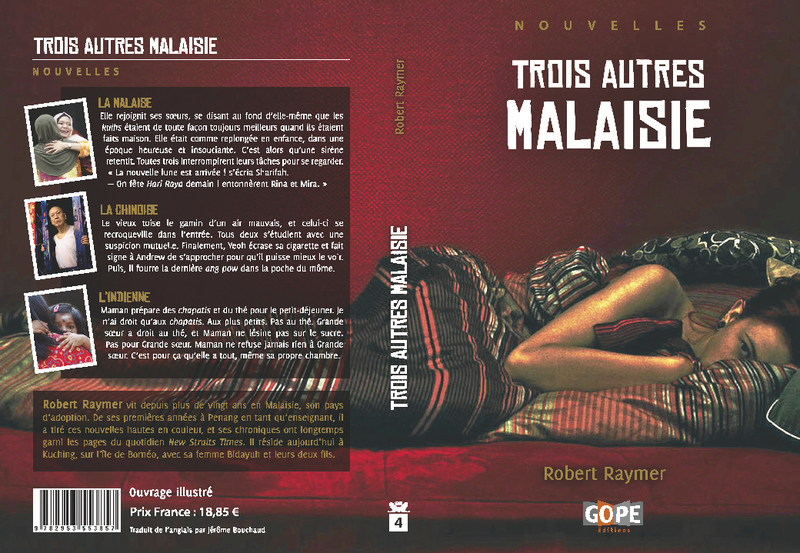 Plus now we share a similar fate, having joined forces to take my Lovers and Strangers Revisited and turned it into our Trois autres Malaisie. Yeah, I wrote the original stories, but Jerome translated them to appeal to a French market, and for that—and for recommending me in the first place—I’m eternally grateful. What a wonderful account of your first meeting. I too will never forget the first time I met Mr. Jerome Bouchaud and that warm smile! Looking forward to hearing (and reading!) more about the results of your fantastic brainstorm session. Thanks! Jerome does make a great first impression. I saw that smile the moment he entered the restaurant!